The new release of Meliora Testlab – Dis Manibus – brings in long-awaited customization features, other minor features and fixes. 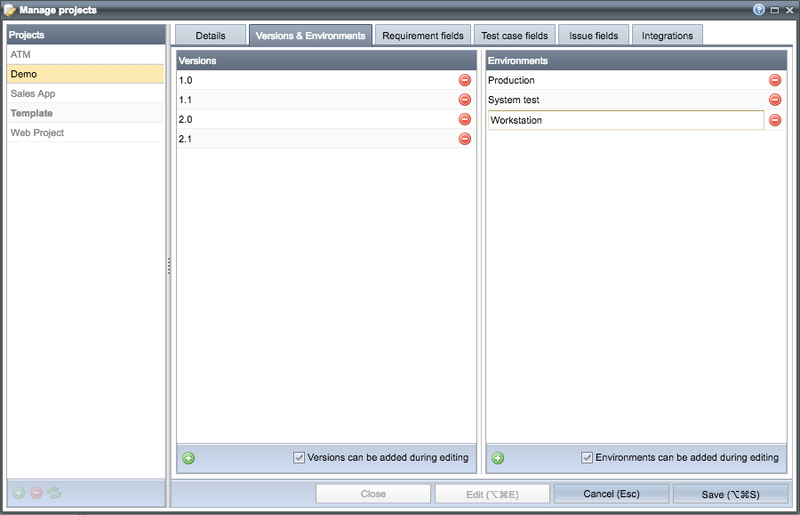 The release makes it easier to manage your projects’ versions, environments and option values for different fields. A more detailed description of the new features can be read below. The option values for different fields can now be freely managed. Options can be managed for requirements, test cases and issues. 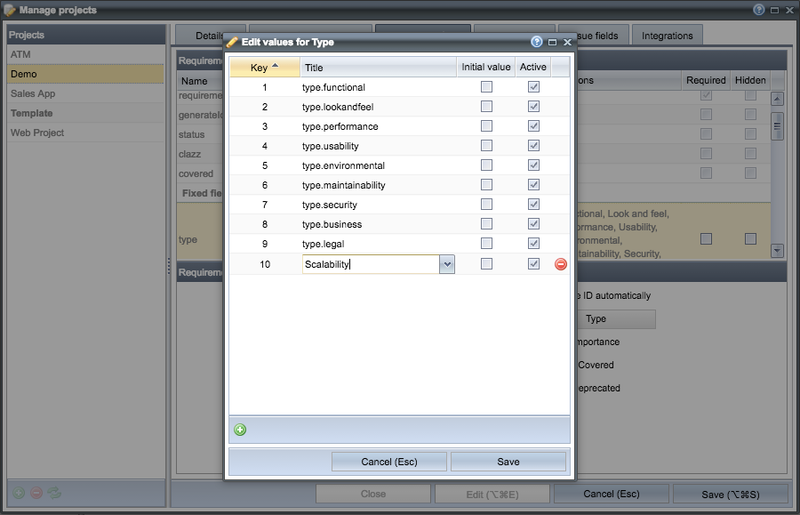 For example, you can now customize test case priorities, requirement types, issue severities and so on. To add new options or to edit or remove existing options, open up the project in Manage projects view and choose the appropriate tab for your asset. 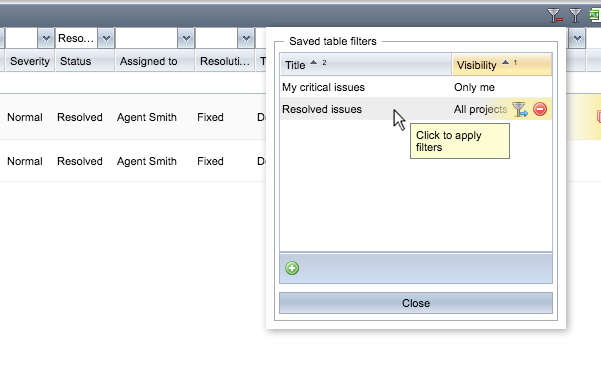 The option editor can be accessed from the Options column of the chosen field. Edited options are supported in all integrations, data importing and exporting, reporting and when copying projects. In addition, the REST API has been added with an endpoint for accessing the field meta data. Adding new values for versions and environments in your project is easy by just entering a new value when needed. If you prefer to have a strict control on which versions and environments should be used in your project, Dis Manibus brings in a view to manage them by hand. The view has been added as a new tab to Manage project view. You also have an option to control if the users in your project can themselves add new versions or not. All tables in Testlab’s UI have been added with controls which enable you to save your current filter criteria for later use. The criteria can be named and it can be saved to your project to be used by all users or even globally to all your projects. Executing test case steps in free order: The steps of test cases can be executed in an order preferred. Discard result and run again -button: The table of test run’s test cases in Test runs view has been added with a new button which enables you to easily run an already run test case again. Clicking the button discards the current result of a test case, preserves the results for the test case’s steps and instantly opens up the window for running the selected test case. Saved reports can be filtered and sorted: The listing of saved reports in Reports view has no filter controls to filter in reports. Finding reports is now easier if you have a number of reports in your project. The filter settings can also be saved to the server for later use. “O U O S V A V V“, between the letters ‘D M‘, commonly stood for Dis manibus, meaning “dedicated to the shades”, is a sequence of letters commonly known as the Shugborough Inscription. The inscription is carved on the 18th-century monument in Staffordshire, England, and has been called one of the world’s top uncracked ciphertexts. In recent decades there have been several proposals for possible solutions. None of the solutions satisfy the staff at Shugborough Hall though. And ofcourse, as with the all good mysteries, it is hinted that Poussin, the author of the original painting which is expressed in the relief of the monument, was a member of the Priory of Sion. This would mean that the ciphertext may encode secrets related to the Priory, or the location of the Holy Grail.